Plants require very small amounts of some essential elements. These micronutrients are often called minor or trace elements. These nutrients—boron, zinc, molybdenum, iron, manganese, copper, chlorine, and nickel—are needed for plant growth, development, and reproduction. Most Mississippi soils have enough of these nutrients for crop production. Micronutrient availability is greatly influenced by soil pH. As pH increases from 4 to 7, zinc, iron, manganese, copper, and boron decrease in solubility and availability, while molybdenum increases in solubility and availability. When soil is in the pH range of 6 to 6.5, most micronutrients are moderately available for plants. On severely acid soils (pH below 5), manganese and aluminum are quite soluble and are often taken into plants in toxic amounts. Conversely, molybdenum is insoluble, and deficiencies often occur in these low-pH soils. At a pH of 5 to 5.5, certain plants may experience manganese toxicity and molybdenum deficiency. Soil pH values over 7 reduce the availability of boron, zinc, iron, and manganese, resulting in deficiencies. These high pH values can occur naturally, as in some soils of the Blackland Prairie, or because of overliming. They are more likely to be present in early spring under cool, wet conditions. As pH increases, zinc, iron, manganese, copper, and boron decrease in solubility and availability, while molybdenum increases in solubility and availability. Boron is important in many plant processes, including protein synthesis, translocation of sugars and nutrients, respiration, and metabolism of plant hormones. More than 90 percent of plant boron is located in the cell walls. It is non-mobile in plants, and a continuous supply is needed throughout the growing season. Boron is more likely to be deficient under dry conditions on low-exchange capacity, well-limed soils. Deficiency symptoms include chlorosis of young leaves, death of the terminal buds, and initiation of secondary lateral buds. In cotton, plants are stunted, fruiting is reduced, leaves stay green, and plants remain vegetative past the normal time of maturity and senescence. Dark rings appear on leaf petioles, and some leaves may become deformed. Excessive rates of boron can be toxic to seeds or seedlings. Damage to stands can occur at fairly low rates, especially when banded near the seed drill. Primary sources of boron are fertilizers that contain boron, fertilizer borates such as sodium borates (14–20 percent B), and solubor (20 percent B). Zinc is important in several plant enzyme systems for protein synthesis and energy production. It maintains structural integrity of biomembranes. It is involved in the synthesis of indolacetic acid, an important plant growth regulator. It is estimated that more than 1,200 proteins contain, bind, or transport zinc. It is important in internode elongation. Zinc deficiencies may occur on well-limed, sandyloam soils. Corn and pecans often show zinc deficiency symptoms. Zinc-deficient leaves show interveinal chlorosis, particularly between the margin and midrib, which creates a striping effect. Because zinc plays a major role in internode elongation, zinc deficiency will cause plants to be stunted. Stunting, resetting, and pale green leaves are typical deficiency symptoms in pecans. Pecans: 1 lb zinc sulfate per tree per inch of diameter or equivalent amount from other soluble sources. This amount is applied to the soil. About ½ lb sprayed on the foliage in early spring has also been found effective. Soil application is preferred as foliar sprays can cause burning of young, tender leaves. Chelates are also very effective but more expensive. Molybdenum is not found in many plant proteins, but it is vital to nitrogen assimilation. For example, it transforms nitrate nitrogen to protein nitrogen. In legumes, it is necessary for nitrogen-fixation by Rhizobia bacteria. Molybdenum also affects sulfur metabolism, phytohormone biosynthesis, and stress reactions. Molybdenum is recommended for soybeans on Delta soils with a pH of 5.5 or below, and elsewhere on all soils except for the high-pH soils of the Blackland Prairie. A seed treatment with ½ ounce sodium molybdate per bushel of planting seed is recommended. A foliar treatment with 1 ounce sodium molybdate per acre at bloom has also worked well. Other legumes may respond to seed treatments with molybdenum. No general recommendation is currently made. General deficiency symptoms are stunting and pale green color. These symptoms resemble those of nitrogen deficiency because of molybdenum’s role in nitrogen use by plants. Leaves may be pale and scorched, cupped, or rolled. The leaves may also appear thick or brittle. Iron (Fe) Iron is required for formation of chlorophyll in plant cells. It is essential in plant biochemical processes such as photosynthesis, respiration, symbiotic nitrogen fixation, hormone biosynthesis, and pathogen defense. Iron deficiency seldom occurs in Mississippi soils, which are high in iron content. Deficiency may occur if soils have high pH and high manganese content, especially under cold, wet conditions when uptake is reduced. Deficiency symptoms reflect iron’s role in chlorophyll production and include inteveinal chlorosis of young leaves, with a sharp distinction between the veins and other areas of the leaf. The entire leaf will become whitishyellow as the deficiency develops, and then die. Plant growth is slow. No general recommendations are made, but materials such as iron sulfate, which is soluble, or iron chelates are generally used as a soil or foliar application when specific deficiencies occur. Manganese is necessary for plant metabolism and development as either a catalyst or activator.  Manganese deficiency has seldom been a problem in Mississippi, but it could occur on high-lime, low-exchange capacity soils or other situations. Toxicity is often an issue in acid soils of the state because of the nutrient’s increased availability in these conditions. Toxicity is common in cotton and soybeans grown on soils with pH of 5.3 and lower. No recommendations are made. Copper is essential for photosynthesis, nitrogen and carbon metabolism, and cell wall synthesis. Copper can become toxic in the plant by causing certain reactions that can damage proteins and other molecules. However, it is possible to prevent copper from accumulating in a toxic form. Copper deficiency symptoms are stunting of plants, chlorosis in younger leaves, dieback of terminal buds in trees, wilting, delayed maturity, and death of leaf tips. Deficiencies seldom occur in Mississippi. No recommendations are currently made. Chlorine is a mobile anion in plants, so most of its functions are related to electrical charge balance. It is abundant in most soils, but deficiencies have been found in wheat in the northern Great Plains, in sandy soils with high rainfall, and in artificially induced experiments. No deficiency symptoms or need for application of chlorine has been identified in crops grown in Mississippi. Nickel was reported as an essential nutrient in the early 1980s for some enzymes involved in seed germination. Deficiency symptoms include poor seed germination, chlorosis, and interveinal chlorosis in young leaves that moves to tissue death. Nickel deficiency has not been identified in Mississippi crops. Hansch R., Mendel R.R. (2009) Physiological functions of mineral micronutrients (Cu, Zn, Mn, Fe, Ni, Mo, B, Cl). Current Opinion in Plant Biology 12:259-266. 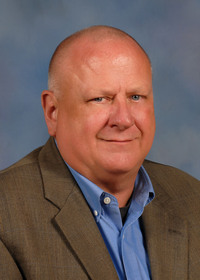 McCauley A., Jones C., Jacobsen J. (2009) Plant nutrient functions and deficiency and toxicity symptoms, Montana State University Extension Service, Bozeman, MT. pp. 16.